Mirick O’Connell’s Lisa Neeley was recently interviewed in NAELA News. Click here for the feature. During the next couple of months, my elder law seminars will be focusing on how the new Massachusetts CARE Act, changes to the federal tax code, the tightening of MassHealth regulations, and other changes in the law might affect you, while also getting a refresher on the basics of wills, trusts, probate avoidance and asset protection. Below is a listing of my upcoming presentations throughout the community. Increase in the standard deduction to $12,000 for individuals filing single and $24,000 for married couples filing jointly. This is an increase from the 2017 standard deductions of $6,350 and $12,700. Personal exemptions are no longer allowed. In 2017 the personal exemption amount was $4,050 per individual. Maximum amount allowed as deduction for local property taxes and state and local income taxes (SALT) is $10,000. Previously there was no limitation on the amount of these deductions unless the Alternative Minimum Tax (AMT) applied. A new 20% deduction for qualified business income, meaning that 20% of the income from entities such as partnerships, LLCs, or S corporations can be deducted. The deduction is limited for certain service businesses (such as law, accounting, and medicine) if income exceeds certain thresholds of $315,000 for married filing separate and $157,500 for single. The deduction applies to income from certain Real Estate Investment Trust (REIT) dividends, cooperative dividends, and certain publicly traded partnership income. Home equity interest, such as with a Home Equity Line of Credit (HELOC), is no longer deductible. However, mortgage interest remains deductible on the first $750,000 for mortgages taken out after December 14, 2017. Previously the cap was $1,000,000. The overall limitation on itemized deductions is repealed (this was known as the Pease Amendment). Previously, certain itemized deductions were reduced when a taxpayer’s income exceeded a threshold. In 2017 this threshold was $261,500 for single and $313,800 for married filing jointly. Itemized deductions were reduced by 3% of the amount of Adjusted Gross Income (AGI) in excess of these thresholds. The bill repeals the deduction for personal casualty and theft unless in a declared disaster zone. Previously a taxpayer was allowed to take an itemized deduction if they suffered a loss, such as a home fire, and they had no insurance to cover the damages, or the damages exceeded the insurance coverage. Increase percentage limitation for deductibility of cash gifts to public charities to 60%. Previously, the limitation was 50%. Miscellaneous itemized deductions subject to the 2% floor are no longer allowed. Included in these deductions were tax preparation fees, certain legal fees, investment management fees, unreimbursed employee business expenses, and union dues. The threshold for deducting unreimbursed medical expenses has been reduced from 10% to 7.5%, effective for tax years beginning after December 31, 2016. Exclusion for employer-provided moving expenses is no longer allowed. Previously a taxpayer was allowed to exclude from income certain moving costs if paid by the taxpayer’s employer. Child tax credit increases to $2,000 per qualifying child. Previously the amount of credit was limited to $1,000 per child. The income thresholds at which the credit begins to be phased out has increased from $75,000 for single and $110,000 for married filing jointly, to $200,000 and $400,000, respectively. Distributions from 529 plans can now be made to pay for elementary and secondary education (not to exceed $10,000 per student per year) and the definition of higher education expenses has been expanded to include public, private, or religious elementary school and high school. Alimony payments are no longer deductible by the payor, or includible in income of the recipient. This change applies for divorce or separation agreements executed after December 31, 2018. Prior agreements are allowed to adopt this treatment only if parties agree. AMT remains but applies at a higher threshold than previously. The 2017 phase-out threshold was $120,700 and $160,900, respectively. Eliminates the individual mandate for Obamacare, which was essentially the penalty for failure to maintain a health plan. Increases the exemption amount for estate, gift, and generation skipping taxes. The exemption amount for 2018 was scheduled to increase to $5,600,000, but will now increase to $11,200,000, effectively doubling all of the exemption amounts. Stay tuned for further posts on the new tax law. This is the time of year when I receive numerous calls from clients asking about year-end gifts they want to give to their children or other relatives and friends. Many have questions about the amount they can gift away without having to pay a gift tax. You can give $14,000 per person per year (soon to be $15,000 in 2018) without paying a gift tax or needing to file a gift tax return. However, our federal tax system gives each of us the right to give away, either during life or at death, up to $5,490,000 (increasing to $5,600,000 in 2018). These amounts are indexed to inflation and increase over time. If a gift to one person exceeds $14,000, a gift tax return is needed that year (to keep track of lifetime gifts) but no gift tax is paid until you reach the lifetime gift amount ($5,490,000). So unless you think your taxable estate at death will exceed the federal estate and gift tax exemption amount ($5,490,000 for 2017; $5,600,000 for 2018), the $14,000 annual exclusion shouldn’t really concern you. Remember, a gift (no matter how much) is not income to the person receiving it, and thus is not subject to income tax. Additionally, there is no Massachusetts gift tax. There is also no federal gift tax to pay unless your lifetime gifts exceed the exemption amount of $5,490,000 (for 2017). So for practical purposes, unless you have a large estate, there is really no limit to the amount you can give to anyone at any time. For Massachusetts estate tax planning purposes, there may even be a benefit to giving your kids some of the money they will ultimately inherit from you anyway. For example, if you die with a Massachusetts taxable estate of $1,800,000, your estate will pay an estate tax of $85,200. If you give away, say, $200,000 of that before your death, the remaining taxable estate of $1,600,000 Million will only be taxed $70,800. So you actually save $14,400 in taxes. There are some things you may not want to give away early. For example, if the $200,000 you just gave your kids was in the form of low basis stock (i.e. stock you bought a long time ago for very little cost), then leaving it to your kids after you die would probably save them more in capital gain tax when they sell the stock than the amount your estate would save in estate tax, if you made the gift now. 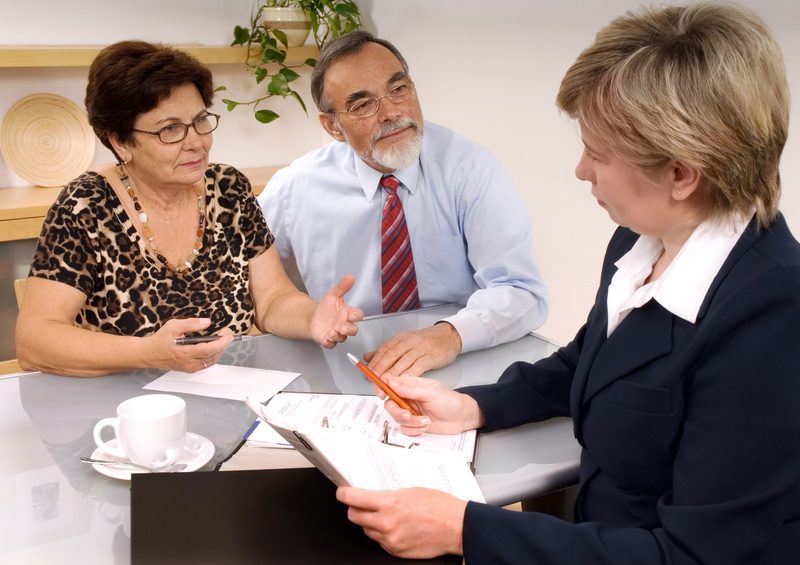 So it’s always best to talk with your accountant or estate planning lawyer before you give away any portion of your estate. During the next couple of months, my elder law seminars will be focusing on “Honoring Choices” in regards to your health care planning, should you become ill or in case of an emergency. Below is a listing of my upcoming presentations throughout the community. Hudson Council on Aging, 29 Church Street. Hopkinton Senior Center, 28 Mayhew Street. Marlborough Council on Aging, 40 New Street. Lisa Neeley will be speaking about her role as lead counsel in the Nadeau case as well as offering her thoughts on the future of Medicaid planning in Massachusetts. Click here for more information and to register for the Webinar. Check out “You’re Probably Going to Need Medicaid” in The New York Times for an interesting read on the relevance of Medicaid.